Which anatomical site to screen? This is an easy one! A stool specimen is the gold standard, but not feasible for a routine screening programme. The sensitivity of rectal swabs is about twice as good as perineal swabs, so a CPE screening programme should use rectal swabs. As for ‘perianal’ or ‘perirectal’ swabs, who knows what exactly they are? My advice is stick to rectal swabs. Which patient group to screen? This is perhaps the most tricky question. The PHE Toolkit recommends screening a patient who has been in hospital abroad, a patient who has been in a UK hospital which has problems with spread of CPE, and a previously positive case. There is no recommendation about universal screening of high-risk specialties (such as ICU), which I think should be considered. The problem is that there’s not much epidemiological data published to help us to define risk groups for CPE carriage. The small amount of data that we have suggests that overseas hospitalisation is indeed an important risk factor for CPE, and that frequent regional transfers from hospitals in your own referral network with small CPE problems are more of a risk than infrequent transfer from hospitals with large CPE problems. For this reason, it makes sense to me to screen patients who have had recent hospitalisation anywhere. With a rectal swab, right? If only it was this simple. There are plenty of nuances and challenges around sampling patients for CPE. For example, we found that the message to patients was vital in achieving high compliance with a CPE screening programme. A geeky, bug-focussed message resulted in a high rate of decline, whereas a simple patient-focussed message highlighting benefits to the patient and their peers reduced the rate of decline dramatically. Also worth noting that pre-analytical factors (such as the staff member collecting the swab, and the age of the patient) can affect participation in a screening programme and so can skew prevalence studies. Is serial admission screening useful? PHE recommend three admission screens each separated by 48 hours to confirm a negative carriage status. Whilst I can understand the logic for this, I don’t think it’s very practical. We found that around 70% of patients wouldn’t stay long enough to receive the result of the first screen, or have the second screen taken, let alone the third screen! Also, we have some evidence that serial admission screens do not improve the detection of CPE. So, a single screen for admission screening and contact tracing with optimised collection methods seems the way forward to me. Short answer: no. We calculated that pre-emptive isolation for CPE screening would breach our isolation capacity at one of our sites by 700%! We need to focus on isolating known carriers. Should we de-isolate known carriers? Certainly not for the duration of their hospitalisation, although screening known carriers when they are readmitted for the purposes of de-isolation may be an option. Over a 10 month period, we took ~10,000 screens were taken during the management of an NDM outbreak. The laboratory calculated £8 per screen, based on laboratory materials. This figure is heavily dependent on prevalence, because the cost of processing positive samples is greater than negative samples. It was assumed that it took a nurse 15 minutes to collect each specimen. Therefore, this screening resulted in ~£80k of actual expenditure, and £50k opportunity cost in staff time. Related to this, is screening for CPE cost-effective? Whilst data are limited to help us answer this question, a recent modelling study suggests that a CPE screening programme is not only cost-effective but cost-beneficial when CPE carriage is >0.6%! Which lab method is best? This will depending on how much screening you are doing, and in which areas. 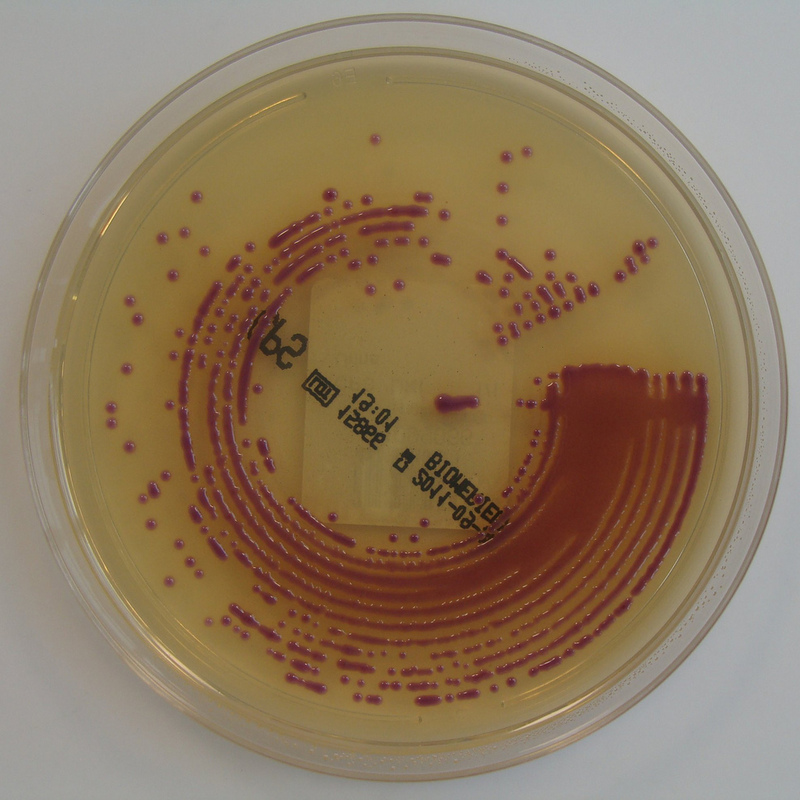 In general, most labs now use a chromogenic agar plate to detect CPE. I would be anxious about using something crude like a MacConkey plate with a meropenem disc – our study in London show that this failed almost completely to detect CPE. I can see a role for molecular diagnostics in local confirmation of carbapenemse production, and perhaps directly on patient specimens in admission areas and during contact tracing. But this would need to be done in parallel with culture in order to detect less common carbapenemases that are not included in PCR kits. No, not unless a staff carrier is strongly implicated in an ongoing outbreak. Staff carriage will occur, but shouldn’t be a problem provided staff wash their hands after toileting, and keep their pants on (pants in both a British English and American English sense). Question for you, for outbreak management and health care carriers is there a option to undertake full genome sequencing in order to trace origin and pattern of spread and get better understanding of mode of carriage and transmission?